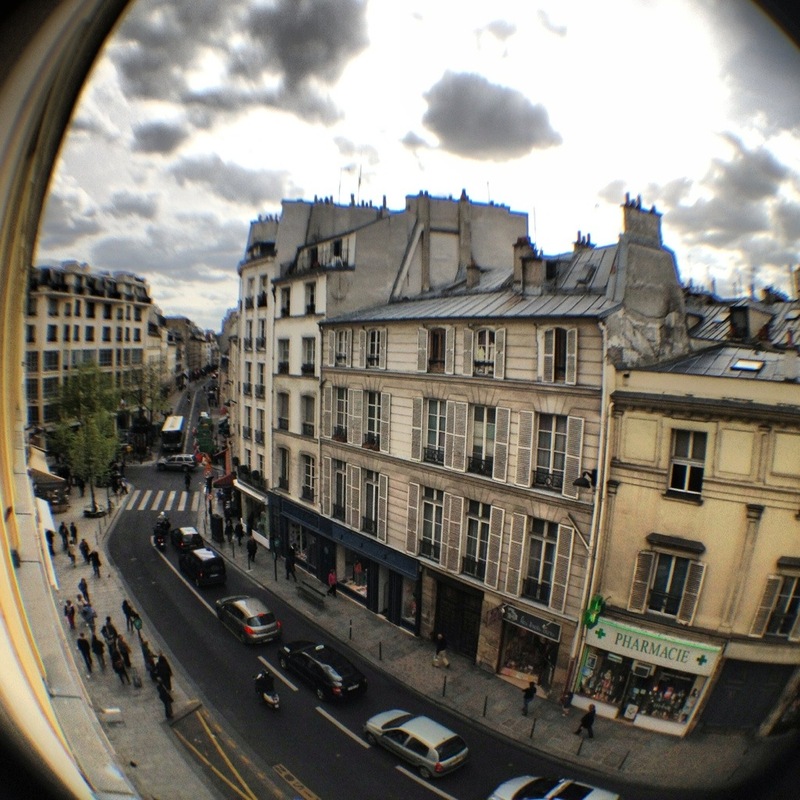 The afternoon we arrived in Paris I snapped this shot with my new fun iPhone lens outside our hotel window. . This is going to be one great trip! Thanks! It was wonderful! But you are quite lucky where you live as I love South Africa!!! Thanks Ailsa! It was wonderful! But wow, it has become so incredibly expensive!!! Also jealous – the street looks like it is situated in Montmartre. Am I right?